Monday morning was beautiful with blue sky and lots of natural light. As you can see, the buildings reflect the blue very well, what with all the glass on these architectural towers. 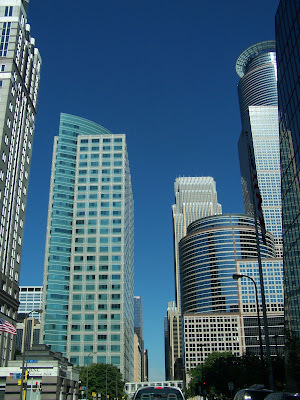 To see a few pictures of my approach to Minneapolis, check out my Minneapolis Luxury Real Estate Blog.